Mind maps are a popular method for idea management or brainstorming sessions. 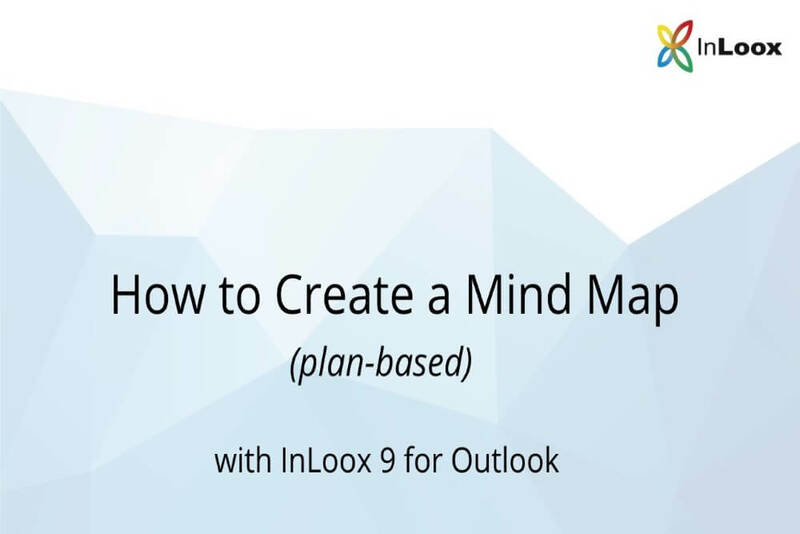 This new video of our tutorial series for InLoox 9 for Outlook explains how to create a plan-based mind map. Mind maps can be very useful to visually collect and organize ideas. The main node represents an idea, a concept or a project, and is located in the center of the mind map. All around it various branches, nodes and sub-nodes are created. That’s why mind mapping is such an easy method to structure ideas. But the advantage of mind maps goes even beyond that, as you can also visualize the hierarchy between tasks and also their dependency on each other. Plan-based mind mapping means that the nodes of your mind map correspond with the project phases. After mind mapping in that specific way you can easily start your planning based on the identified project phases. This approach is also called top-down planning. The mind map feature in InLoox 9 for Outlook enables you to record and sort ideas from brainstorming sessions. Additionally, you can even copy the mind map to your planning. Want to know how to create task-based mind maps? Watch the video here. 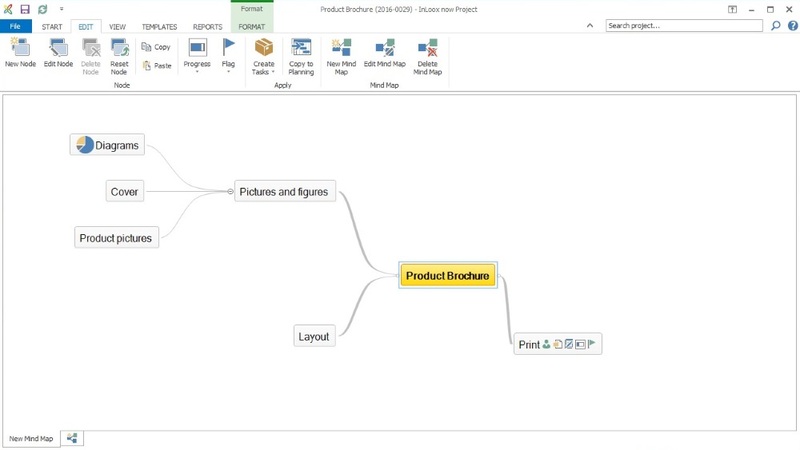 Video Tutorial: How to Create a Plan-based Mind Map with InLoox 9 for Outlook - InLoox • Copyright 1999-2019 © InLoox, Inc. All rights reserved.